Colonel Paul Fanifau Manueli was the first Fijian-Polynesian (Rotuman-Samoan) to be in charge of the then Royal Fijian Military Forces after the British officers of Colonial Fiji gave up their posts and returned to England. The late Colonel Paul Manueli. Of Rotuman and Samoan descent, he comes from a very hard working and dedicated family in Fiji – the Manuaelis of Fiji – who are always dedicated to doing good for the country. 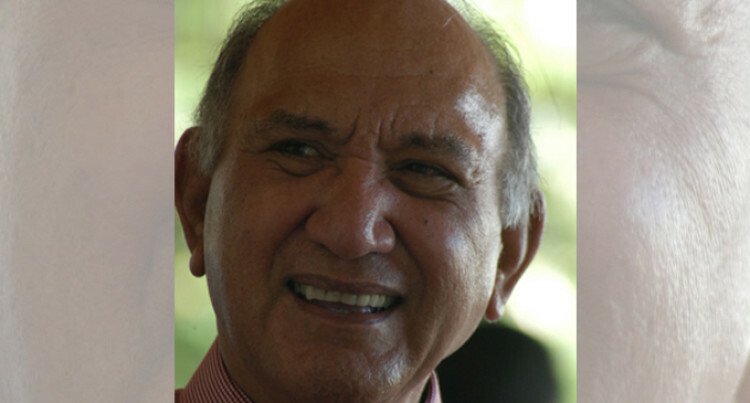 Colonel Paul Manueli’s brother was the president of The Church of Jesus Christ of Latter-day Saints in the 1970s of the Suva branch, Des Voeux Rd. Another relative, brother, was the president of the Church College of Western Samoa, President Atoa. Colonel Manueli was not only a Fijian Rotuman, but the direct descendant of the Atoa Tugaga clan in Samoa. He attended several military colleges in Australia and New Zealand and a top graduate of the Royal Military Academy Sandhurst, the prominent military training academy in England that is equivalent to the West Point (United States Military Academy). He trained Fijian UN Peacekeeping Forces in the 1970 for their deployment to the Middle East and was one of the first to hold that position while in the military. He had several Fijian rugby reps under his command – Josefa Saukuru, Tomasi Naidole, Jone Sokovata, Aca Soqosoqo, Suliasi Tolotu, Jese Mucunabitu, George Barley, Sitiveni Ligamamada and Samu Naqelevuki. Following his retirement, he has enjoyed considerable success as a business leader and has served on the boards of numerous corporations, including general manager of BP in the South Pacific and Warwick International Hotels. He also held important Government Cabinet positions. He was also a veteran of the Malaysian Campaign Fighting the communist insurgents long before the Vietnam War in South East Asia. This great man who has just recently passed away is honoured and saluted by all military officers, veterans, ex-Malaya, the Republic of the Fiji Military Forces, the Royal New Zealand Military Forces, the Royal Australian Military Forces, the British Army, the Malaya Military and the USA military. Our sincere condolences go out to his wife Lydia and son Peter and to all the Manuelis in Fiji, Rotuma and abroad. Not forgetting the Atoa Tugaga clan of Samoa and abroad. Fiji has indeed lost one of its greatest sons. I am wondering if there were specific criteria in place prior to subjecting officers to any kind of fitness tests. Perhaps the age and health vital checks (body mass index, blood pressure, etc) must be done before undergoing the required fitness test. The health check results must therefore determine the scope or level of activity or intensity in the fitness test. At the end of the day, we are all different in terms of stamina, endurance and our health status in general. My sincere condolences to the family of the late officer.